Have you ever wanted to see a wild grizzly bear? How about a dozen of them? You can see a lot of bears in the Great Bear Rainforest because this part of British Columbia’s coast is great bear habitat and people are working hard to make sure it stays bear-friendly. 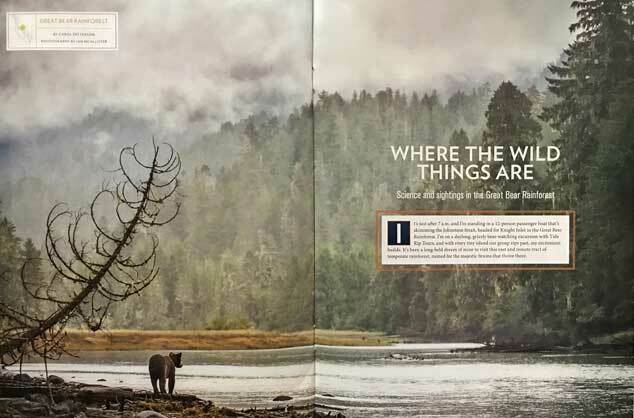 In this story I wrote for BC Ferries’ OnBoard Magazine I interviewed several scientists on what they were doing to learn more about the Bears, whales and sea-wolves of the Great Bear Rainforest. 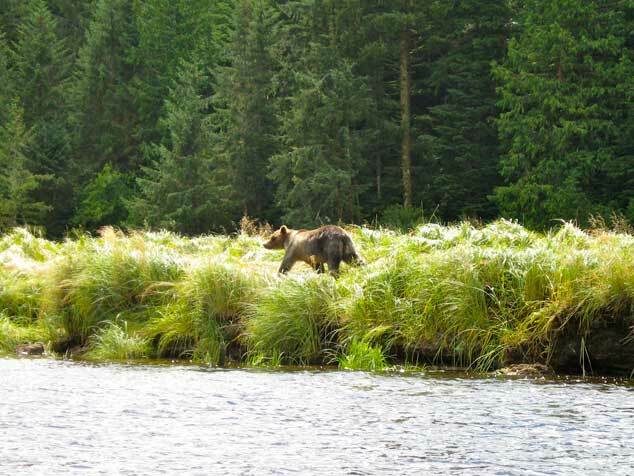 Did you know that grizzly bears are moving to islands? First observed by First Nations guides, grizzly bears are swimming to islands where they haven’t lived before. Western scientists confirmed what Kitasoo/Xai’xais Nation already suspected and now habitat protection has been expanded to reflect the larger range. Jackie Hildering, humpback researcher, Marine Education and Research Society (MERS) also shared her organization’s experience with whales. 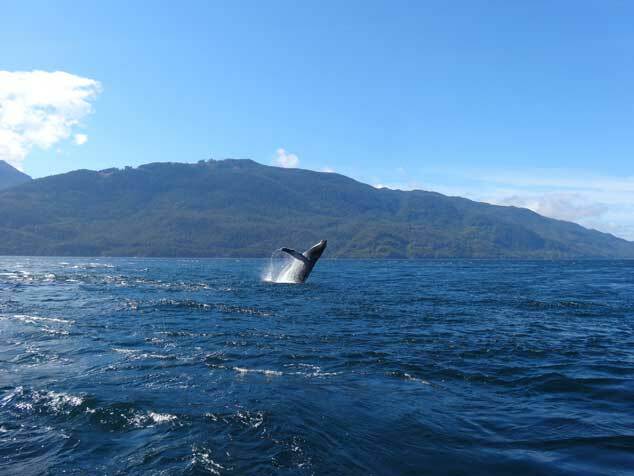 MERS’s observations on humpbacks and the very different behaviors they display led to new recommendations for boaters more used to orca encounters. Read more here. Scientist and photographer Ian MacAllister is monitoring noise levels under water as so many creatures depend upon hearing to communicate and hunt. With noise levels above and below water increasing, this information is critical for policy-makers. If you would like to learn more about where the wild things are (and how you can get there) read the full story here. Like me, you may be dazzled by the photos by Ian MacAllister accompanying. His images peek into a world unseen by many of us and remind me of another great image maker – Jacque Costeau. I suspect that the work of these MacAllister and the other scientists I interviewed will also have long-lasting effects!